Place the almonds on a baking tray and toast them for 4 minutes. 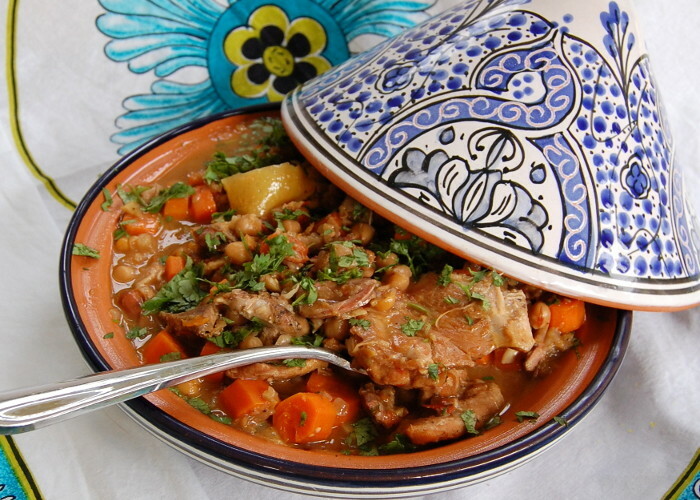 In an ovenproof tagine heat the oil and cook the chicken for 6 minutes on each side. Transfer the chicken into a plate and heat some more oil to the tagine. Fry the onion, ginger, turmeric, and cumin. Pour in the stock and add the tomatoes. Bring the mixture to a boil. Add the chicken, dates and carrots. Bake for about 45 minutes. Serve with couscous, coriander and almonds.